« New Spud and Chloe! It’s that time of year again, time to pull out your 16 inch circular needles, your double points, and your purple yarn to put together some hats for a good cause. Why purple you might be wondering? The period of purple crying is a phase where babies cry inconsolably and the hats are to raise awareness of shaken baby syndrome. You can drop off your hats at Urban Yarns and we will make sure they get to the hospitals. I love knitting baby hats. I love it a lot more than Hunter enjoyed wearing them at first! 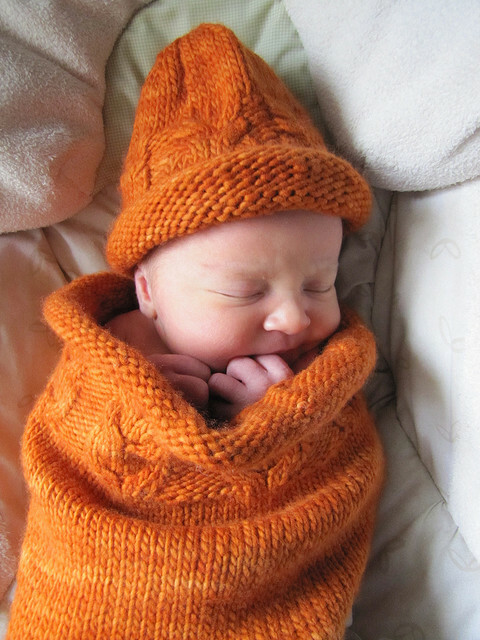 Now she’s more accustomed to the hat and it hides her poor bald head from the elements, a practical baby knit, fantastic. If you are looking to knit a simple baby hat there are some great patterns out there. 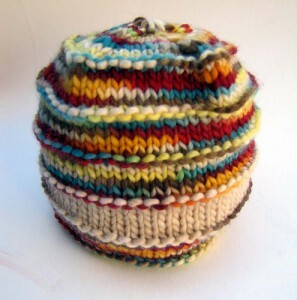 A quick one to check out is the Supernatural Stripes baby hat. 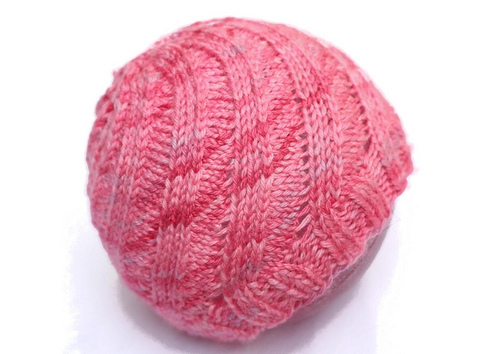 Its knit up in worsted weight yarn (16-18 stitches per 4 inches) so it’ll finish right quick! The pattern can be found for free through Ravelry here. This entry was posted on Monday, June 27th, 2011 at 1:10 pm	and is filed under Uncategorized. You can follow any responses to this entry through the RSS 2.0 feed. Both comments and pings are currently closed.